Kresge College is best known for its distinctive architecture, along with its legacy of experimental teaching and strong sense of community. Above: Kresge College, known for its distinctive architecture, is slated for a renewal. 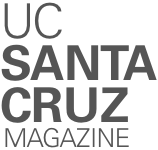 But this planned village of stucco-lined buildings nestled into the redwood forest of the UC Santa Cruz campus has long been showing its age. The sixth college to open on campus, Kresge was built in 1973, occupying about eight acres of redwood forest. Designed by architect Charles Moore of Moore, Lyndon, Turnbull and Whitaker (MLTW) with landscape architect Dan Kiley, the college is a cluster of residential, academic, and student support buildings lining a meandering pedestrian street. Hoping to reinvigorate the college, address deficiencies, and update it to comply with current code, the university is undertaking a two-phased project balancing new construction, renovation, and selective removal. The project is designed to enhance, and grow, the college’s living-learning environment while providing more space for much-needed student support, residential, and academic programs, embracing its history while meeting the needs of today’s students, said UC Santa Cruz senior architect Jolie Kerns. The design team, working together with the campus, has been careful to knit the new design work with the original site plan designed by MLTW, Kerns said. The new construction will add approximately 200 new student beds, while growing the footprint of Kresge from 133,000 to 200,000 square feet. The redevelopment will also include new instructional facilities, academic offices, a student and faculty center, and new student support spaces. One driving principle of the design is for better connectivity throughout the college, and between the college and the campus, said Kerns. She also noted that the new design makes the college easier to navigate and creates inviting outdoor gathering spaces. We are creating a multimedia special report on the Kresge renewal, and we invite alumni and the campus community to send us their Kresge stories as part of the report, which will come out later this fall. Submit stories and memories about Kresge—and find information and updates—at magazine.ucsc.edu/kresge-renewal.